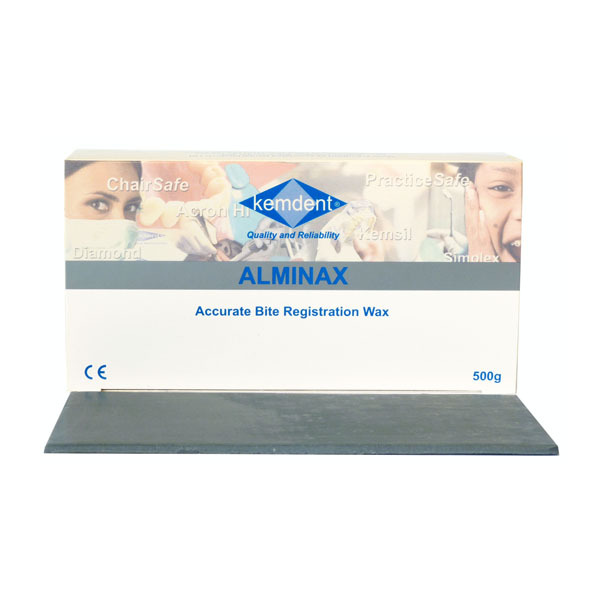 Alminax Bite Wax sheets are a proven bite registration material, formulated to provide dentists with a dense yet easily softened bite wax that is stable at room temperature. To deliver a reliable and dimensionally stable wax bite registration you need a material designed for purpose. Simply warming up a piece of modelling wax, bending it into a U shape and asking a patient to bite down is not cost effective in the long term. The thickness and consistency of Alminax has been specially chosen to provide the most accurate bite registration. Sheets Size: 142mm x 73mm x 2.6mm thick. 10 sheets per 250g box. 20 sheets per 500g box.